The 84th annual Macy's Thanksgiving Day Parade takes place in just a few hours on Thursday, Nov. 25, 2010, in the streets of New York. 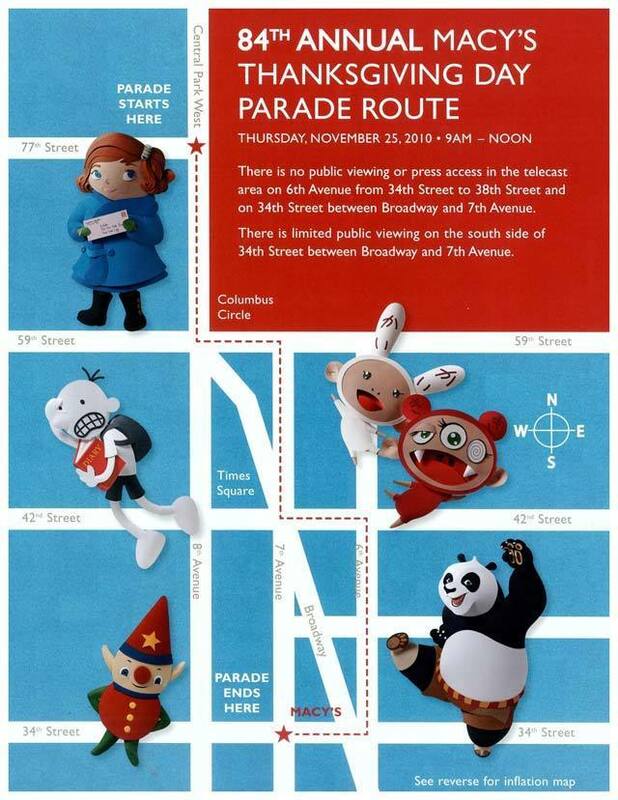 Per the parade's official website, America's favorite Thanksgiving parade with massive balloons, elaborate floats, top-notch marching bands and celebrities will take place from 9 a.m. to noon Eastern Time in Manhattan. The parade will be broadcast live on NBC and is expected to be witnessed by an estimated 3.5 million attendees as well as 50 million at home. Macy's is pulling out all the stops for 2010, the company said, with a line-up that features more than 1,600 cheerleaders/dancers, 850 clowns, 15 giant character balloons, 43 novelty, ornament balloons, balloonheads and balloonicles, 12 marching bands, 27 floats, large performance groups and a host of celebrities including Kanye West, Kylie Minogue, Juanes, Jessica Simpson, Gladys Knight, Victoria Justice, Big Time Rush and many more.